Preheat oven to 350* F. Grease 2 loaf pans. Pour batter into pans. Add aroniaberries as you pour or after all batter is in the pan. 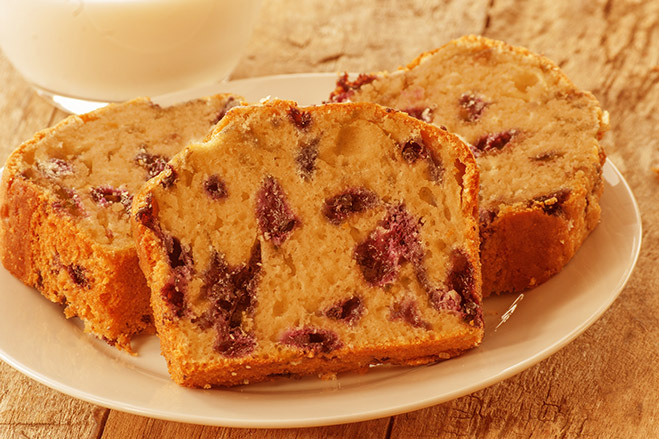 Gently swirl the berries into the batter. Bake for 60-65 min until toothpick comes out clean. Let stand in pans on cooling racks for 10 minutes. Then invert the bread pans to get the bread out of the pan onto the cooling racks to finish cooling.